I have nothing planned for this week. But since my new project isn’t quite ready for WIP snipping, and Sworn only has a few more weeks as a work in progress, we’ll stick with it. For anyone who has no idea what I’m rambling about, WIPpet Wednesday is when a bunch of authors share a snippet from a work in progress that relates in some way to the date. Then we link up, read each other’s stuff, comment, party, yadda yadda. It’s good times, and always open to new WIPpeteers. There could be minor spoilers if you don’t want to know anything about who’s in the story, and if you want it to be possible that the POV characters were massacred in the first scene (you monster). But this is a pretty safe one. Aren’s POV this week. They’ve been going through some tough times and facing an unreasonable amount of reality, so quiet moments alone have been few and far between. I reached out to touch her hair, which the morning light had lit like a fire. She turned to me and smiled, and the warmth in her gray eyes spoke to something deep inside of me. I felt myself opening. Relaxing. Letting go of the pressure I’d been under since my father’s rescue. “This is perfect.” The words were out of my mouth before I realized they were coming. It couldn’t last, but we could make the most of it while it did. She gasped as my fingers tangled in her hair and I pulled her toward me. She grabbed the front of my jacket and drew me into a deep kiss that burned through me as the world around us faded to insignificance. Even if I live a thousand years, I will never wish for anything but this. “Excuse me?” inquired a small voice. …can’t let the nice moments last too long, can we? Authors are so mean. If you’d like to see what the other WIPpeteers are up to, here’s the link. Thanks again to Emily Witt for hosting. 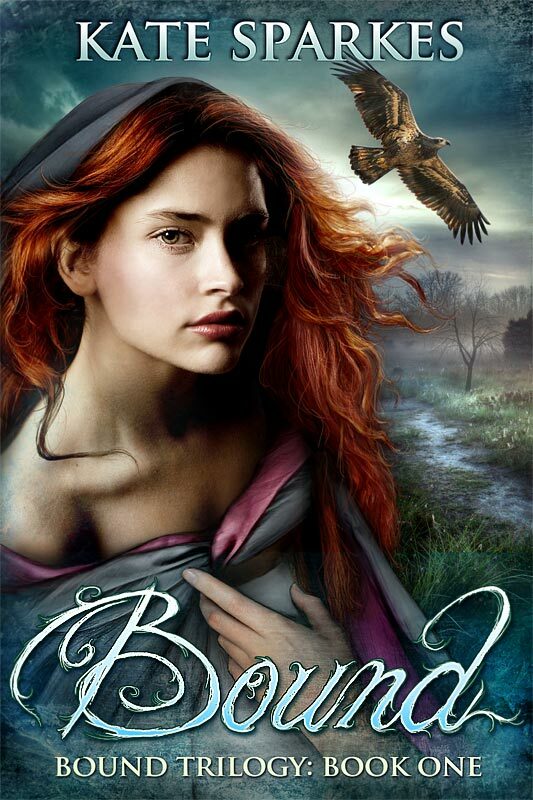 In other news… The Bound trilogy prequel novella At Any Cost is now available on Amazon and Kobo, with other retailers dripping in as they approve the book for sale. It’s still available as a freebie for newsletter subscribers, but if you don’t like signing up for newsletters (or just like paying for books, which is amazing), it’s now out there for you. Reader response to this one has been fantastic, so it’s definitely worth picking up one way or the other to tide you over until the 29th. If you’ve read and enjoyed it, reviews would be most appreciated! OH. 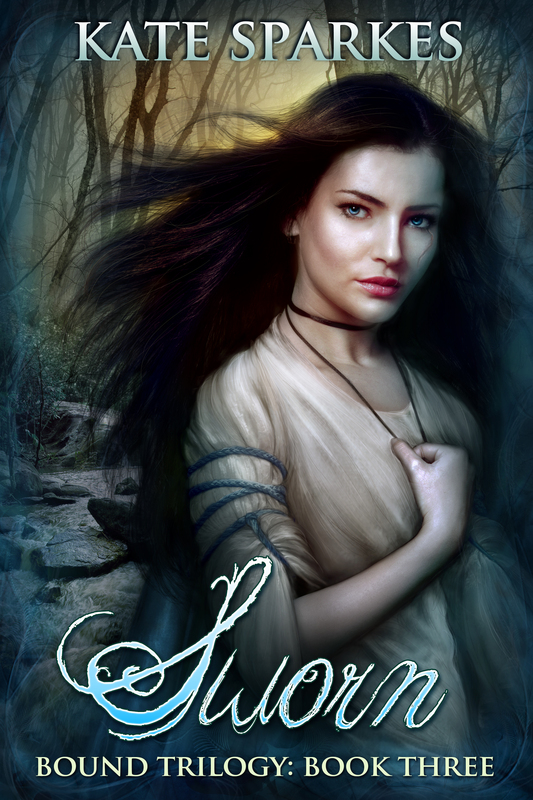 And I’ll soon be posting about the Sworn release party (January 28, Facebook)! That’s definitely going to be a good time. 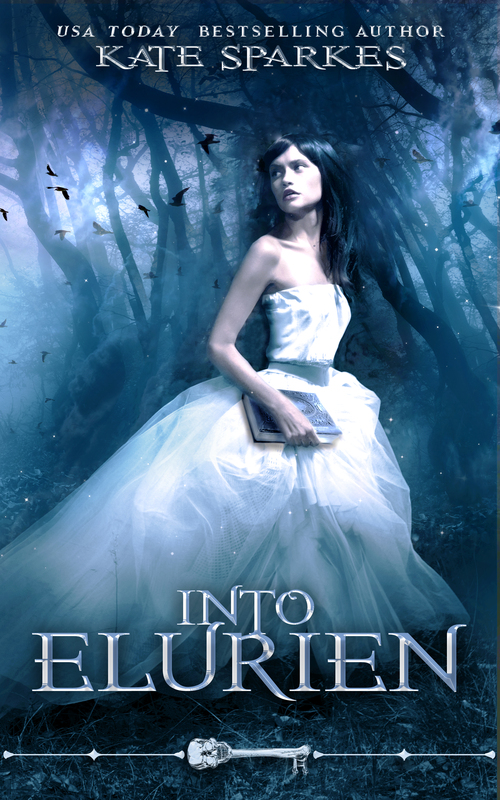 If anyone is interested in getting your (Fantasy) books in front of my readers by doing a giveaway, just let me know. Or if you have days to fill and feel like posting about the book during the week after release, that would be great! Any help is wonderful, and of course I’m happy to return the favour. 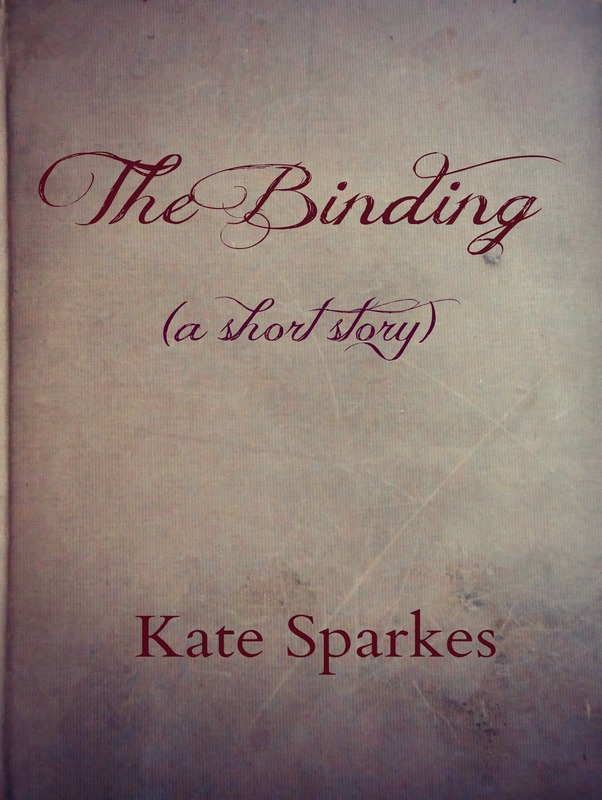 This entry was posted on Wednesday, January 13th, 2016 at 10:58 am	and tagged with at any cost, Bound Trilogy Book 3, fantasy, freebie, indie, kate sparkes, new book, romance, sample, snippet, Sworn and posted in publishing, Sworn, WIPpet Wednesday. You can follow any responses to this entry through the RSS 2.0 feed. I am a new WIPpeeter and enjoyed your WIPpet that you posted. I had to laugh as the kiss was interrupted by someone and I really wanted to know who that someone was. Hi, Patricia! So nice to have you. I read your post earlier, but couldn’t tell whether my comment went through (it didn’t show up after I sent it). In any case, so nice to have a new face around! I love this snippet. Though I’m a sucker for romance (hence – that is my genre – :D) But great descriptions of his feelings, and great visuals! I can totally picture picture it all. You got my attention in the first line.It reminds me of a quiet moment in LOTR where the action pauses and something magical happens before they have to rush off again. Great! I think the quiet pauses are as important as the action, and the spots of beauty in scenes of ugliness or violence. So important. Oh, you cruel, cruel woman, interrupting a passionate kiss like that. Can it be a kid? Please, please let it be a kid. A little one. Just the right age to sniff out passion and squash it with no inkling of where it wanted to go. I know I said you could do an interview on my blog for your book release, but I haven’t gotten around to getting the questions together. It would require you being at the Facebook party to post at a certain time. Email me of you’d like to talk about it! I’m sure people would enjoy your books. Maths as a verb. Only you could get away with that. I die for those interrupted moments. Those moments of beauty torn to shreds! (^_^) Excellent!